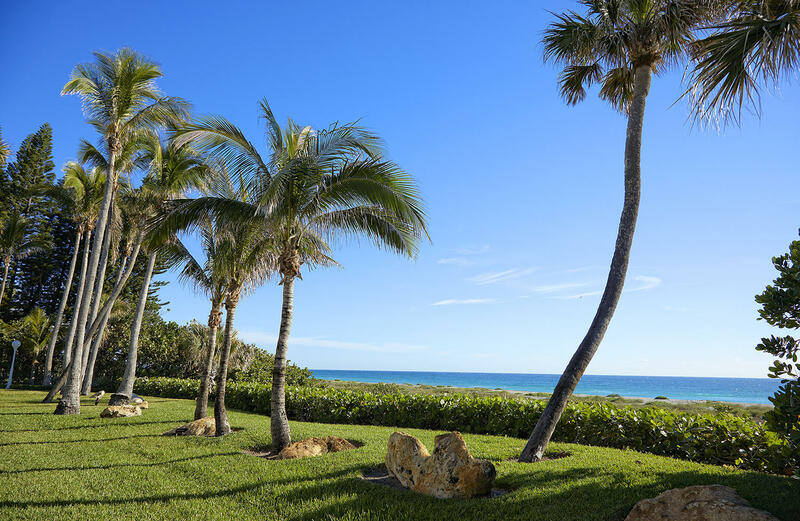 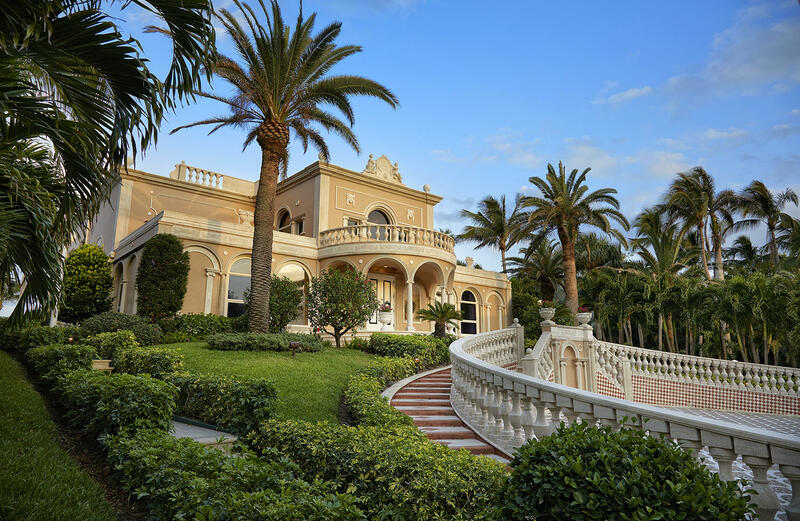 A stroll around Villa La Renaissance on Jupiter Island is like a walk around a Renaissance-era museum and garden. 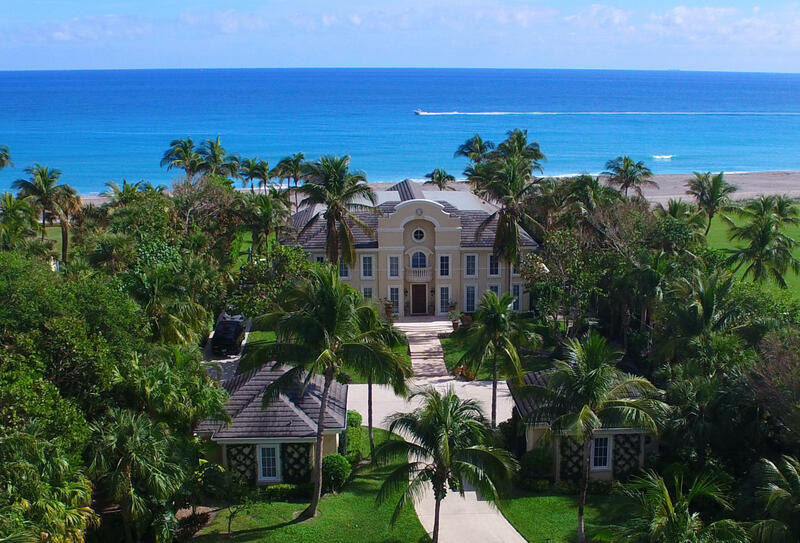 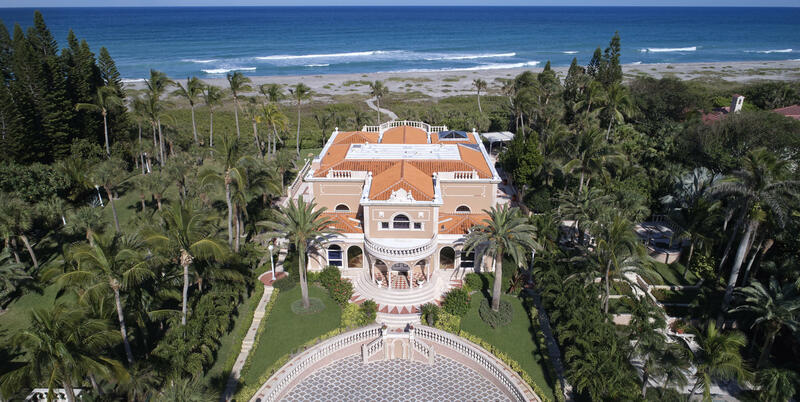 Centrally planned on 5.34 acres of prime oceanfront land, it is a marriage of five meticulously crafted buildings, set around a Mediterranean-inspired courtyard, each capturing authentic Italian artistry and craftsmanship. 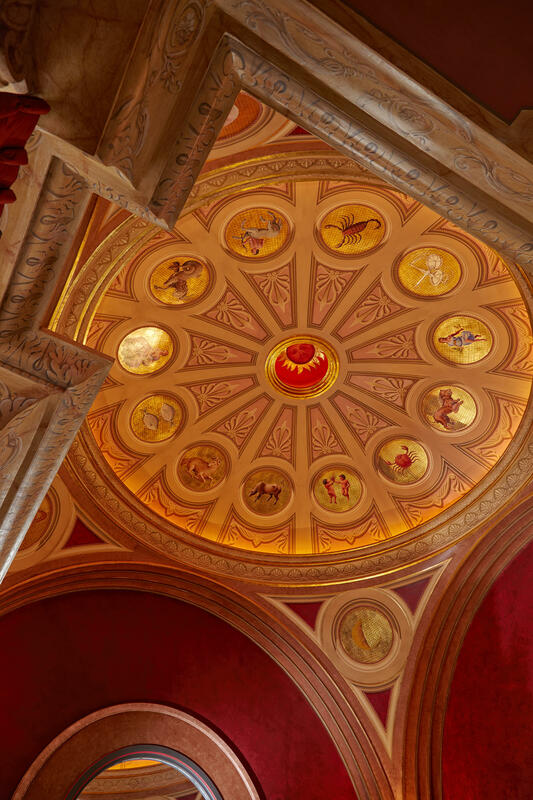 Some of Europe's most renowned architects and artists dedicated years of their lives to recreate the glory of ancient times using vast amounts of imported Italian marble and painted walls. 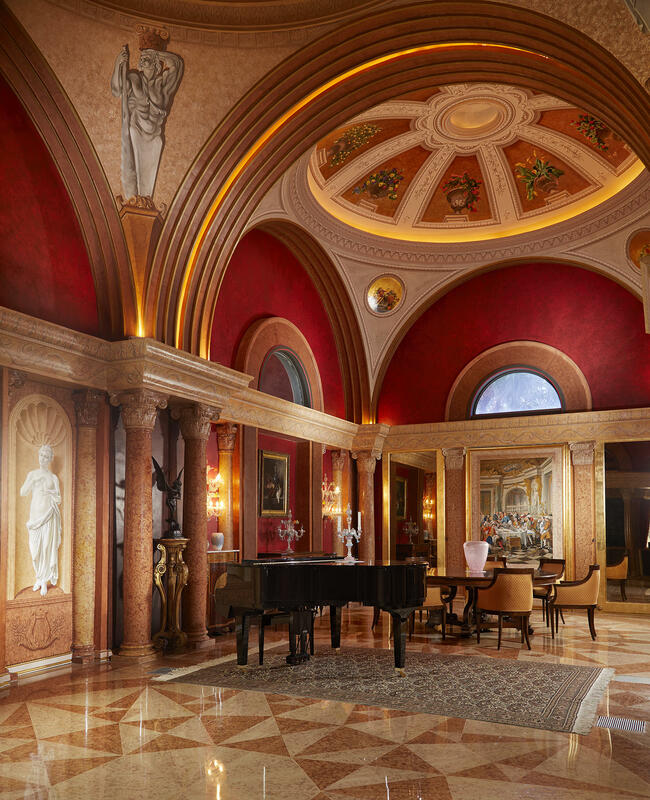 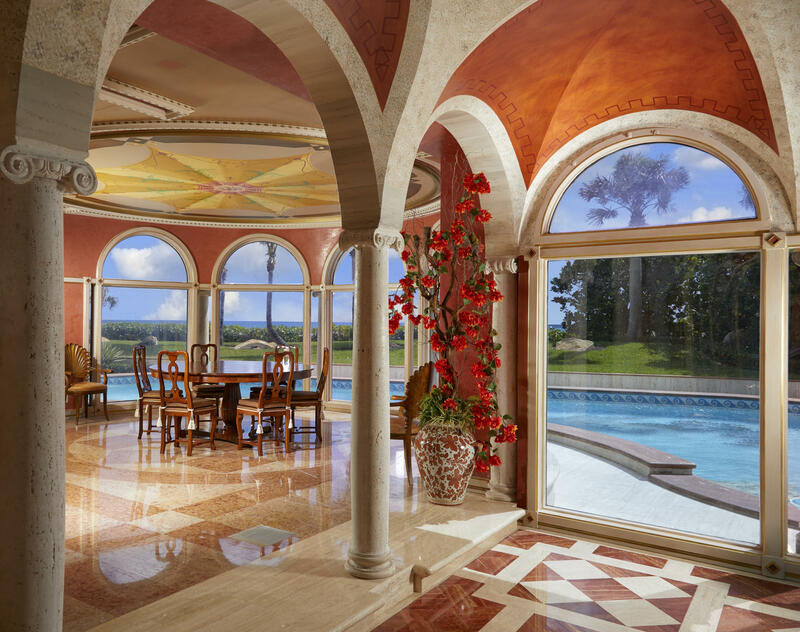 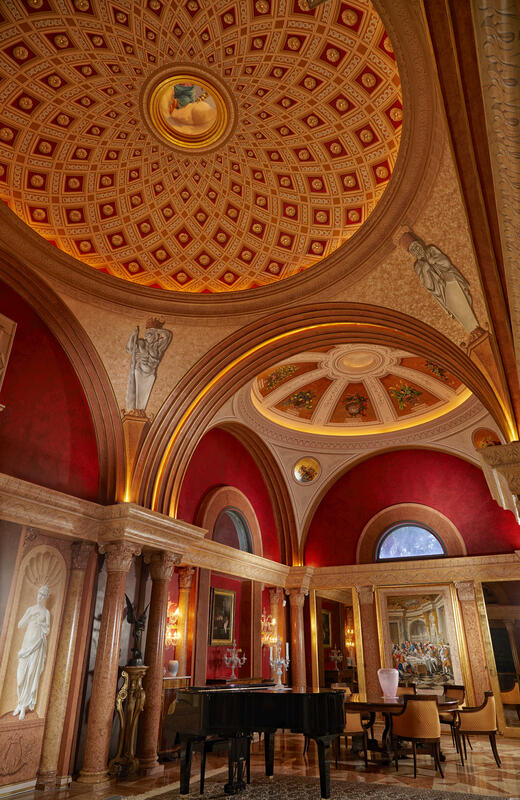 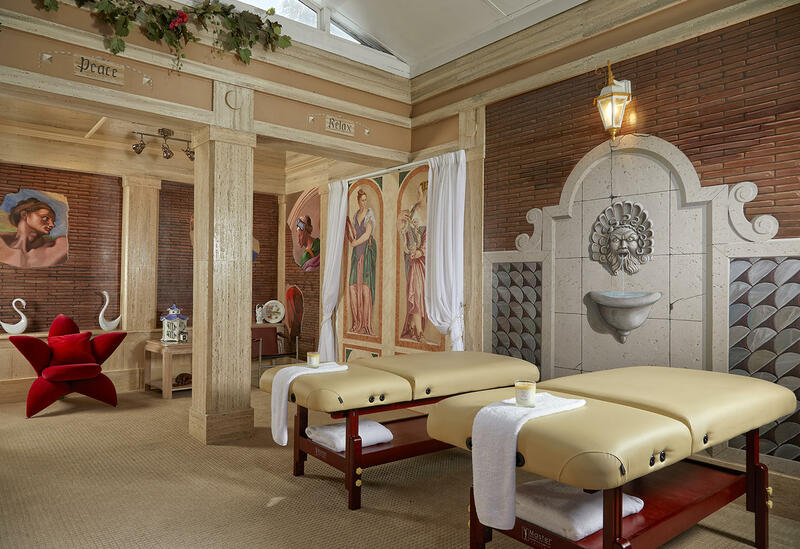 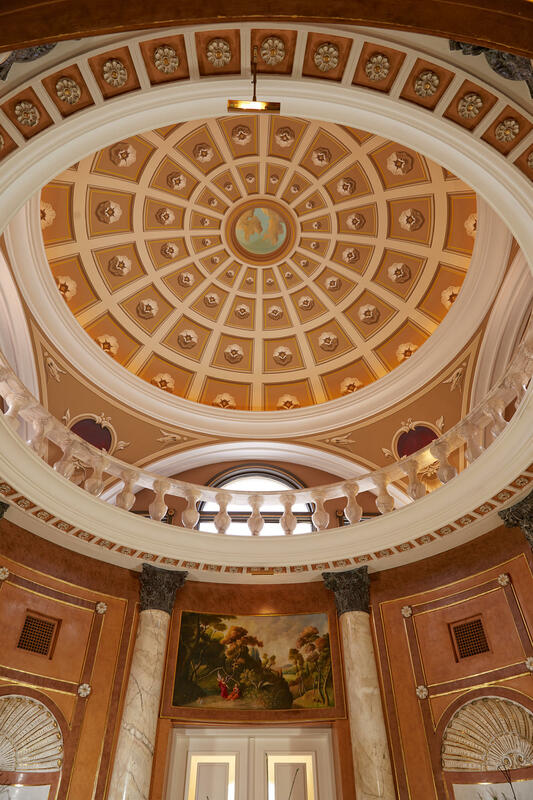 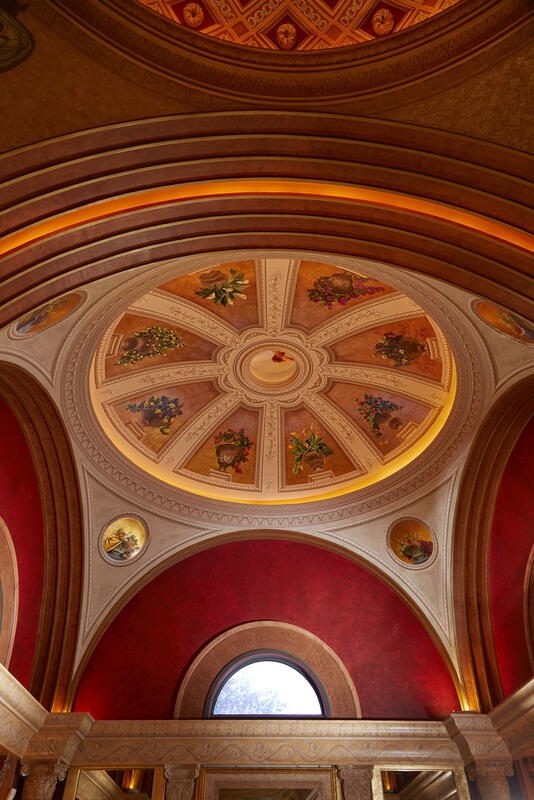 Inside, the five hand-painted palatial gold domes, each showcasing a unique design, make up the formal dining hall, the music room and the formal living room with an all-marble bar. 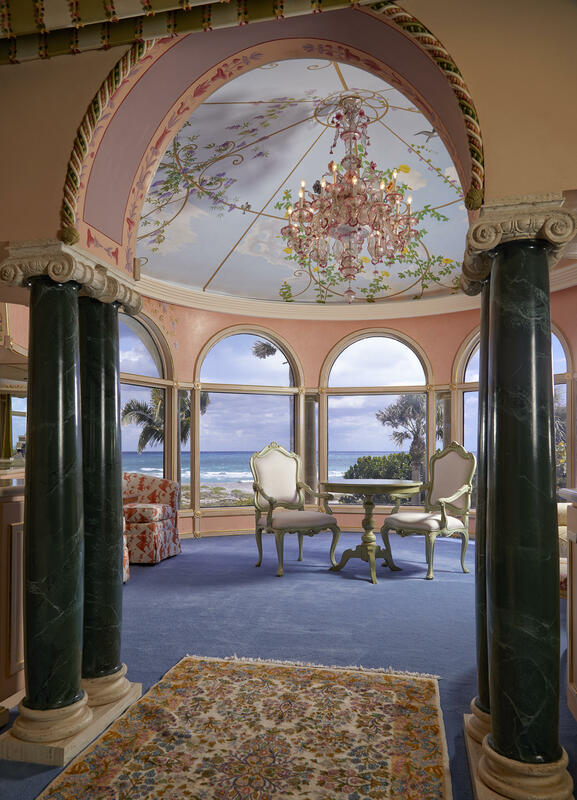 Two spacious his- and her-master suites, which feature hand- painted ceilings inspired by 12th-century designs from Verona, occupy the entire second floor of the Villa and offer 180-degree unobstructed and private Atlantic Ocean views. 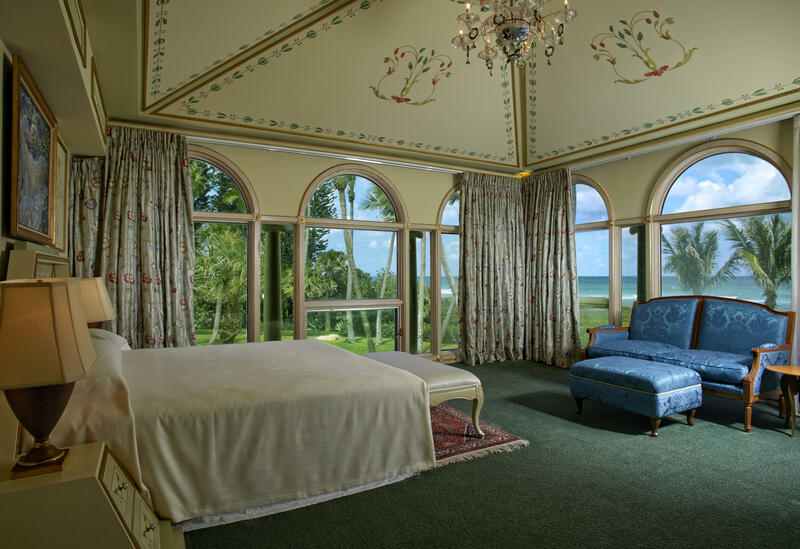 Guests can stay in one of three enchanting Tower Apartments or in one of two guest suites in the stately Guesthouse by the beach. 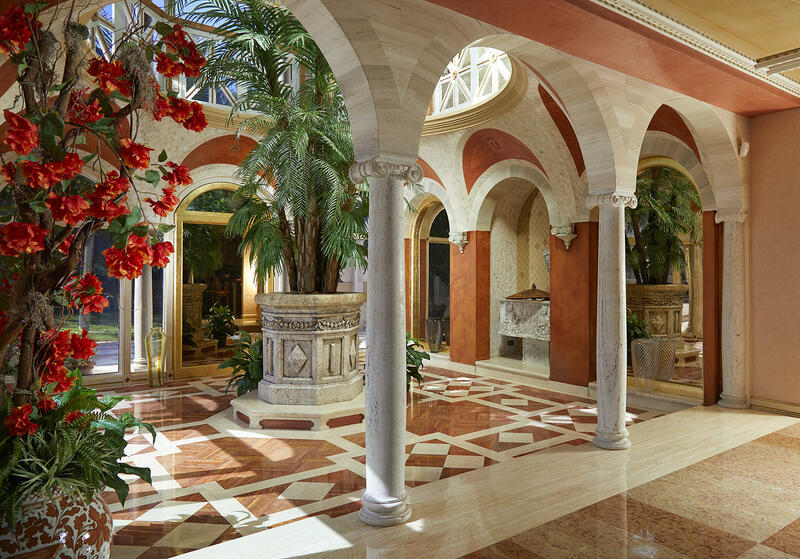 At the end of a flower-lined descending path capped by a cascading fountain and a mosaic pool lies a wellness oasis, complete with a steam room, sauna and Turkish bath. 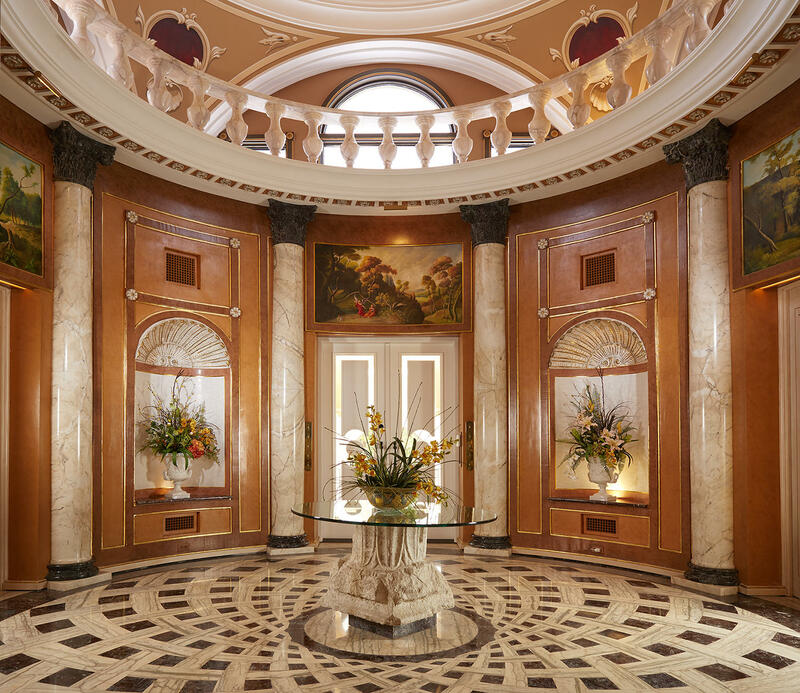 A separate service entrance leads to a seven-bedroom staff quarter, a six-car garage and a motor court. 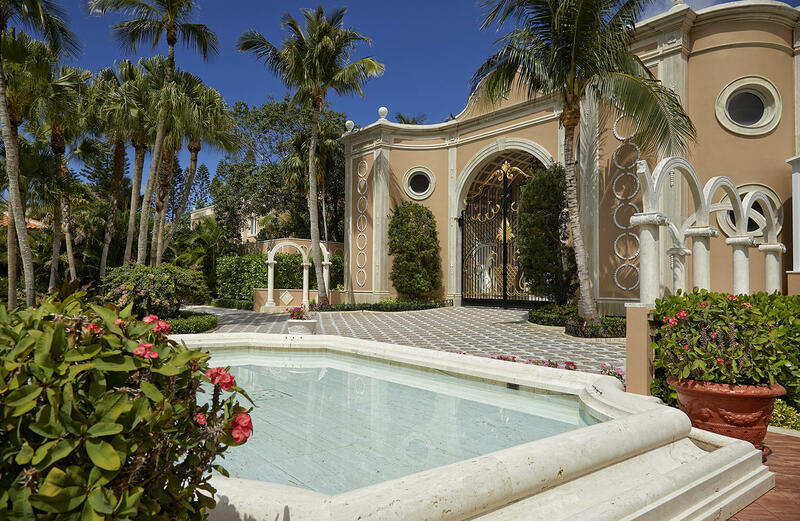 The artistically planned grounds, are completed with two mosaic-tiled pools, secluded walkways and gardens, dozens of fountains and sculptures, and countless entertaining venues. 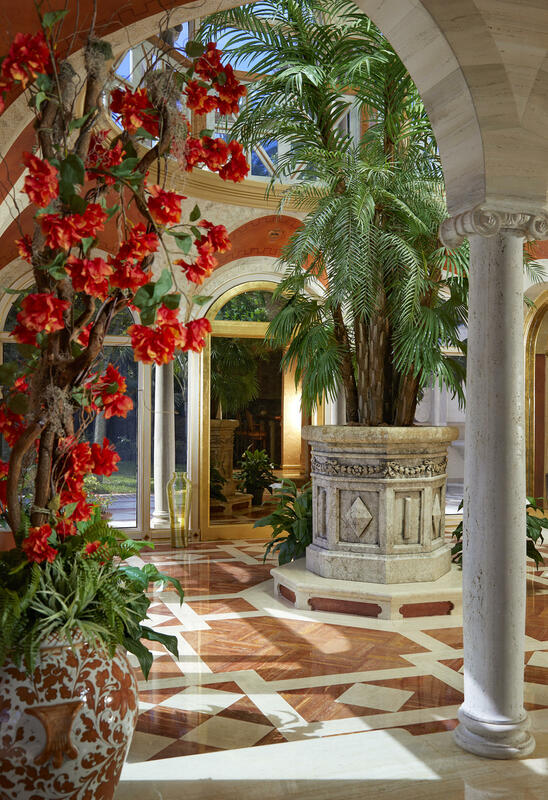 The sale includes all the antique furnishings and original artwork, as well as over thirty vintage Murano chandeliers. 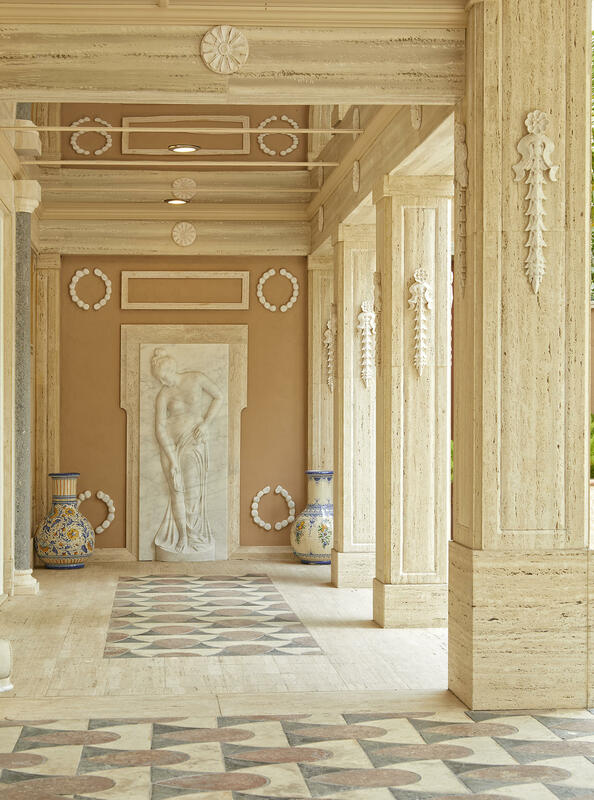 Villa La Renaissance will strike a chord with a distinguished connoisseur who appreciates authenticity and values seclusion, tranquility and the finer things in life. 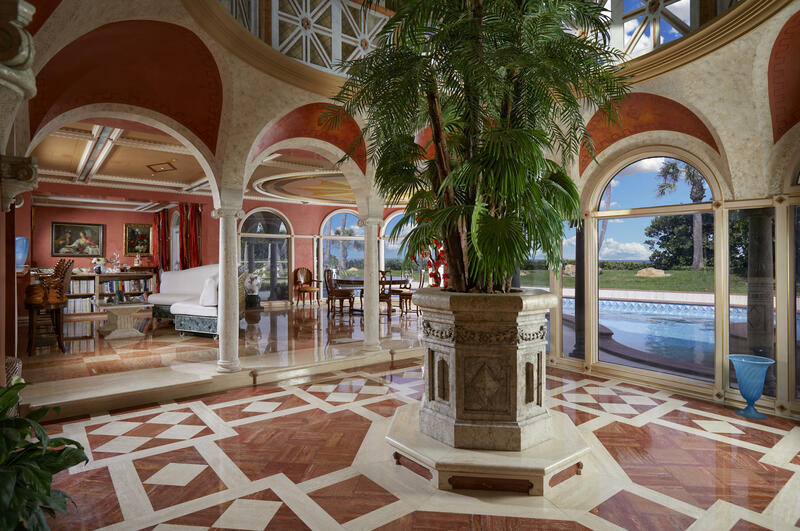 A property as unique, immaculate and authentic as Villa La Renaissance, is near impossible to find anywhere in the USA, let alone to recreate. 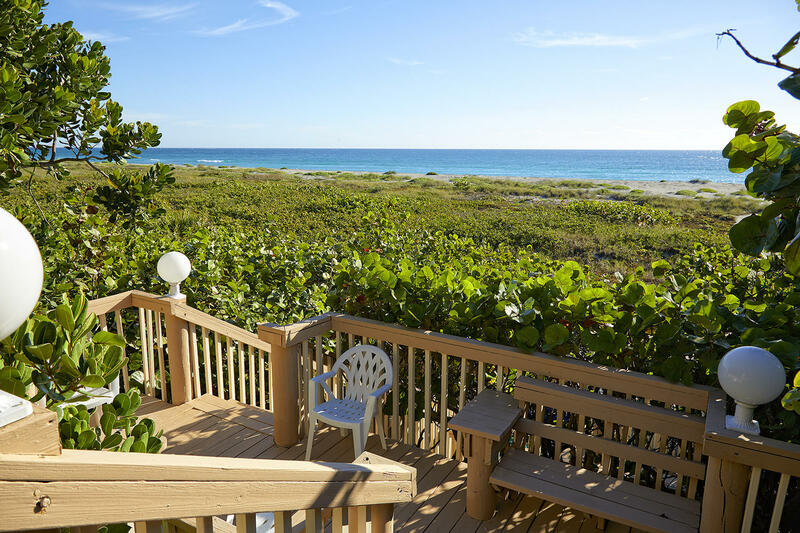 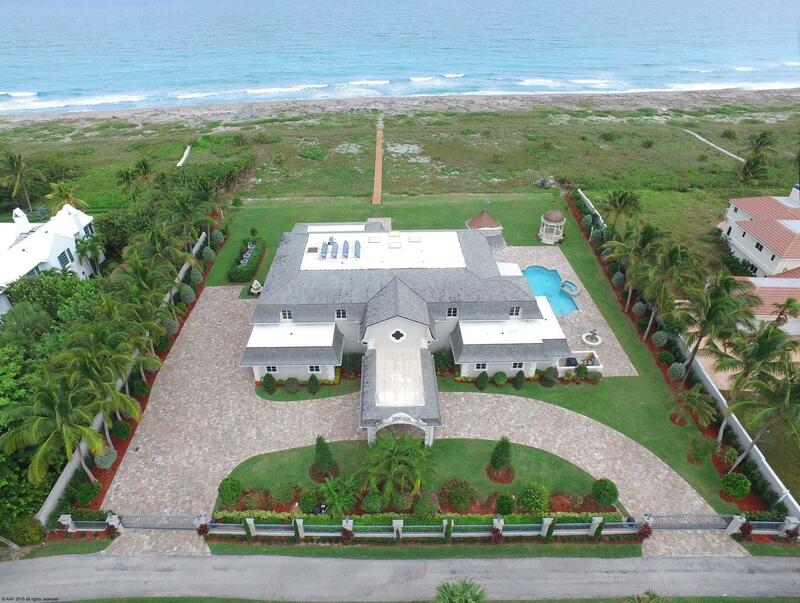 Also available are two Intracoastal lots directly across from Villa La Renaissance. 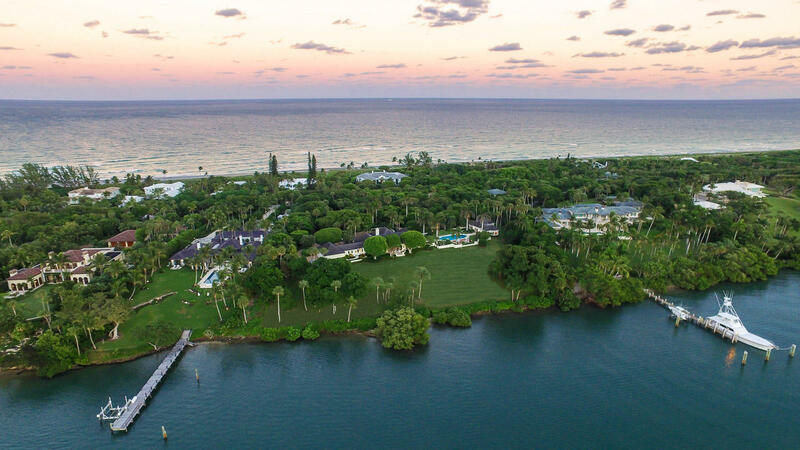 This offers a very unique opportunity to create an 8.5-acre Ocean-to-Intracoastal estate, with two boat docks.